The discovery of an exoplanet around the next nearest star to Earth couldn’t have been better timed for me, almost as if unseen forces were moving things around in order to give me a helping hand. 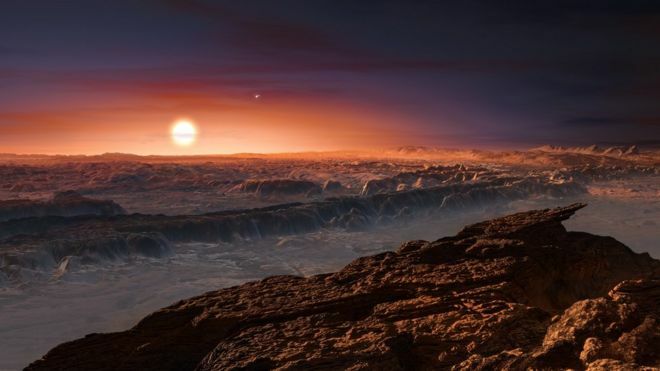 Astronomers at the European Southern Observatory, using an extremely sensitive spectrograph called ‘HARPS’, have confirmed the presence of an ‘Earth-like’ exoplanet circling Proxima Centauri, a red dwarf star some 4.2 lightyears from Earth. It’s our nearest neighbour. This has caused tremendous excitement in astronomical and exobiological circles, because it literally is ‘next door’. The Centauri system is the next nearest planetary system to ours. We don’t know much about this new planet right now, that will be a focus of more research, but we do have a tantalising glimpse. It’s about the same size as Earth, perhaps a little bigger. Conditions on it could be capable of supporting liquid water as it lies in Proxima Centauri’s ‘goldielocks’ zone (named after the eponymous fairy-tale girl, where conditions are neither too hot nor too cold). Whether there is any water though, or even an atmosphere, right now we simply don’t have enough data. Proxima Centauri is a red dwarf though, far fainter than our Sun. Despite being the closest star to us (other than the Sun itself) it’s to dim to be seen with the naked eye. It’s barely bigger in size than the planet Jupiter in our own solar system. For a planet to be Earth-like here, it has to be closer to the star than our Earth is. Much closer. Frighteningly close in fact. Comparative sizes of the stars in question. Could life exist on such a world? We hope to find out one day. Yet, as Douglas Adams said, “by a staggering co-incidence” the world I have constructed in my Shadeward Saga SF series is almost identical to what we currently know about Proxima B. I have added a few things to allow a story to be written. There is water and an atmosphere for example, but nothing that is impossible. I settled on the Lacaille 9352 system, another red dwarf not so far away, though rather more powerful than Proxima. I postulated a tidally locked world in a close orbit, in the goldielocks zone and subject to the same problems that face any potential resident of Proxima; infra red radiation, occasional x-ray and ultraviolet flares coupled with extreme weather conditions. On my fictional world of Esurio, humans have managed to colonise the planet but they struggle to survive. This is a world with no ‘time’ as we would measure it on Earth. No seasons, no years, no days or nights. It’s a fabulous setting for a story because it is so different from what we are used to. 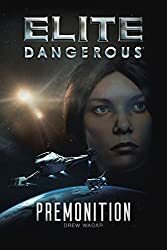 I based my world on the excellent academic research work done by David Stevenson, a noted expert on Red Dwarfs and their potential planets, ensuring the story was grounded in actual science. (Do review his book – ‘Life under a Crimson Sun.’) Building upon this I constructed a society and a culture that had ways of dealing with the difficult conditions imposed upon them as they fight to survive upon this world. It is fiction of course, but it’s plausible fiction. There is no magic wand waving, no hyperdrives, no ‘particle of the week’ generator to get you out of trouble Deus Ex Machina style. It has the style of high fantasy (as many fantasy fans have found to their delight) but it’s grounded in the real. 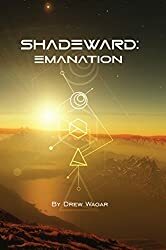 The Shadeward Saga is a four part SF epic set on the tidally locked world of Esurio, in orbit around the Red Dwarf Lacaille 9352. It follows the history of colonists who arrived there to settle the planet, yet were almost wiped out by calamity. 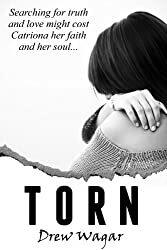 Hundreds of years later, without the knowledge of the past, their descendants struggle to survive on a strange and hostile world. 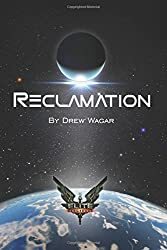 Book 1 : Emanation is available online. 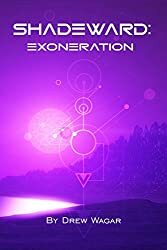 Book 2 : Exoneration launches in ebook form on the 1st of September, with physical copies following in November.